Shopping for a new midsize luxury sedan near Costa Mesa? Look no further than the new Acura TLX. This affordable luxury car starts comes available in four packages (or trim levels): Acura TLX Standard Package, Acura TLX Technology Package, Acura TLX A-Spec® Package, and Acura TLX Advance Package. 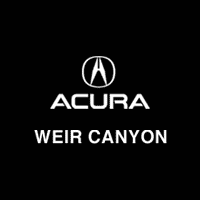 Explore Weir Canyon Acura’s inventory of 61 new Acura TLX cars for sale. When you’re ready, calculate your estimated monthly payments and apply for financing online. Why Buy a New Acura TLX from Our Anaheim Dealership? If performance is important to you, you’ll appreciate that the TLX has two strong engine options. The standard engine is a 2.4L inline-4 that comes with the first three packages, and there’s an Acura TLX V6 option that runs on a 3.5L V6 engine. The Acura TLX V6 Advance Package is standard, and this engine is available for the other packages. Performance-minded Tustin drivers will delight in the specs of the TLX. Front-wheel drive with Precision All-Wheel Steer™ (P-AWS®) system is standard, and the Super Handling All-Wheel Drive™ (SH-AWD®) is available with the V6 engine. Take a step inside the TLX, there’s room for five, and you have the choice of leatherette-trimmed or Milano leather-trimmed seating. Three-level heated front seats are standard, as is the leather-wrapped steering wheel, 14.3 cubic feet of trunk space, and Android Auto™ and Apple Carplay™. From an exciting performance to a luxe, high-tech interior, you can’t go wrong with the new Acura TLX. Contact us to take a step inside one of our 61 new Acura TLX cars for sale, or to set up your test drive!